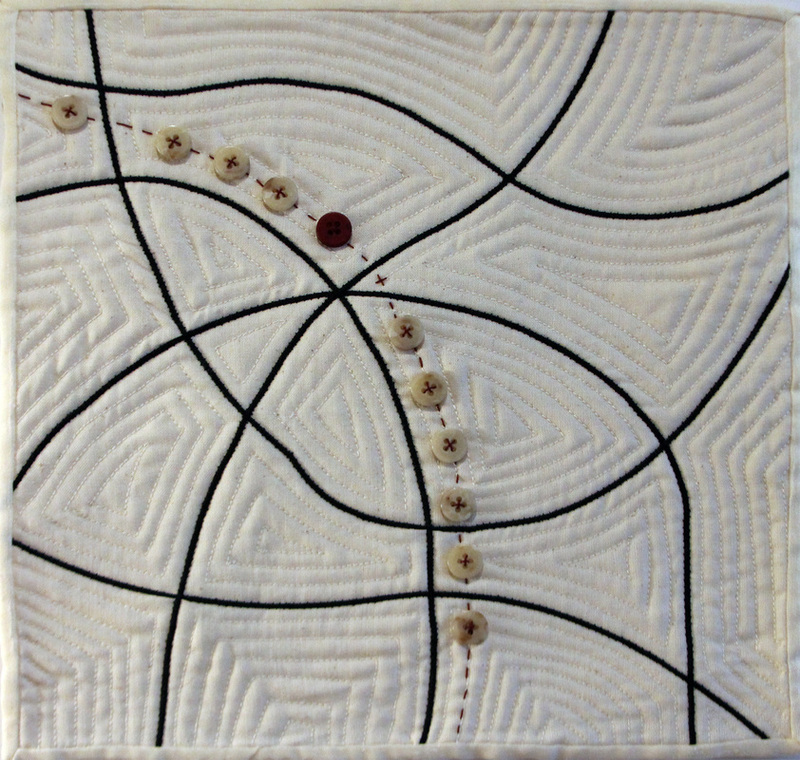 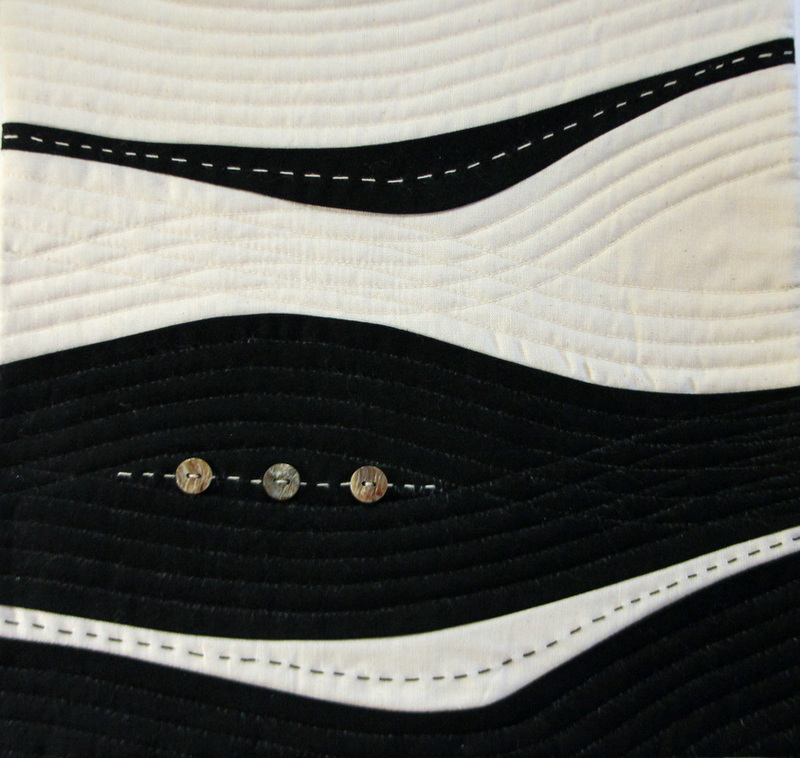 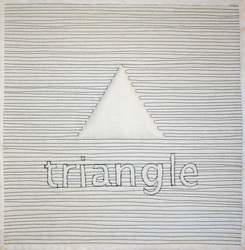 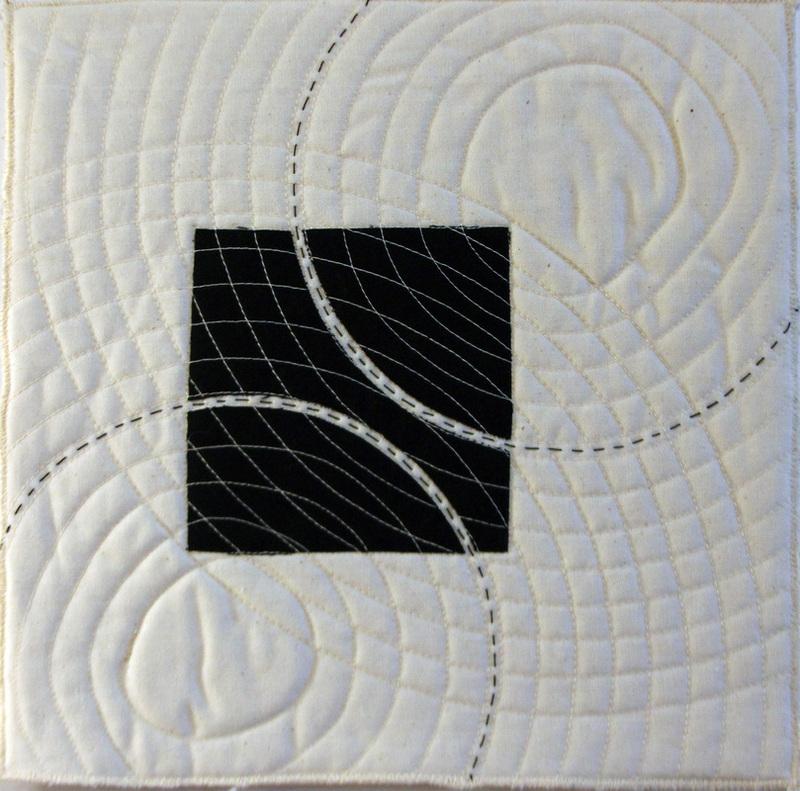 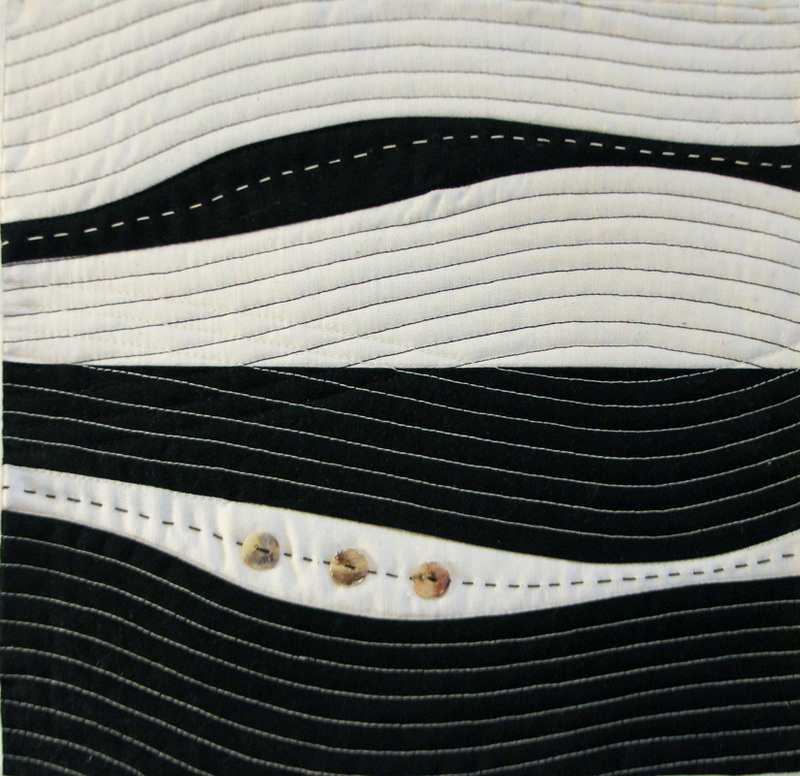 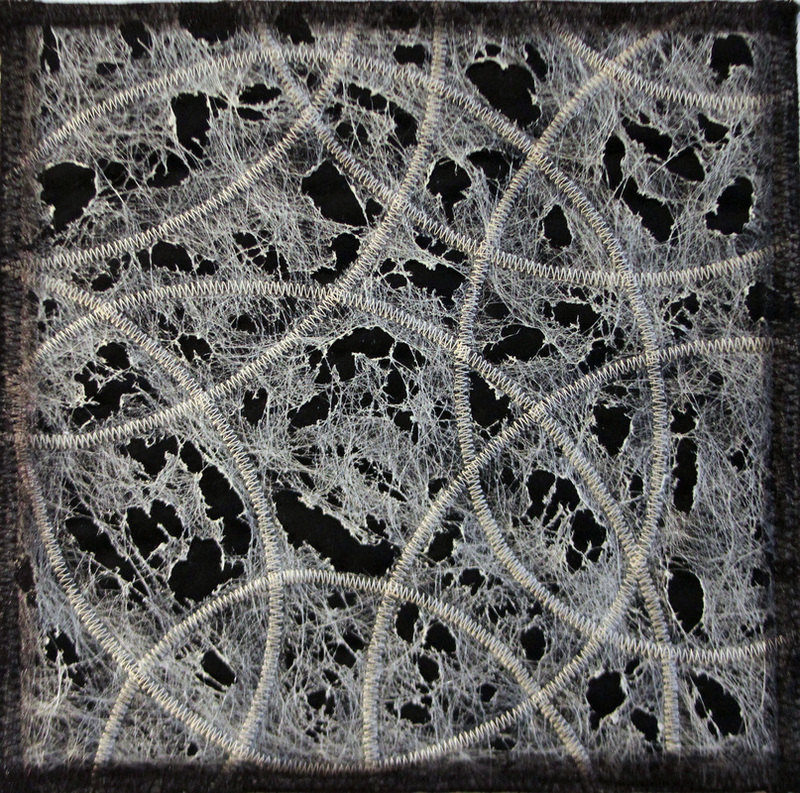 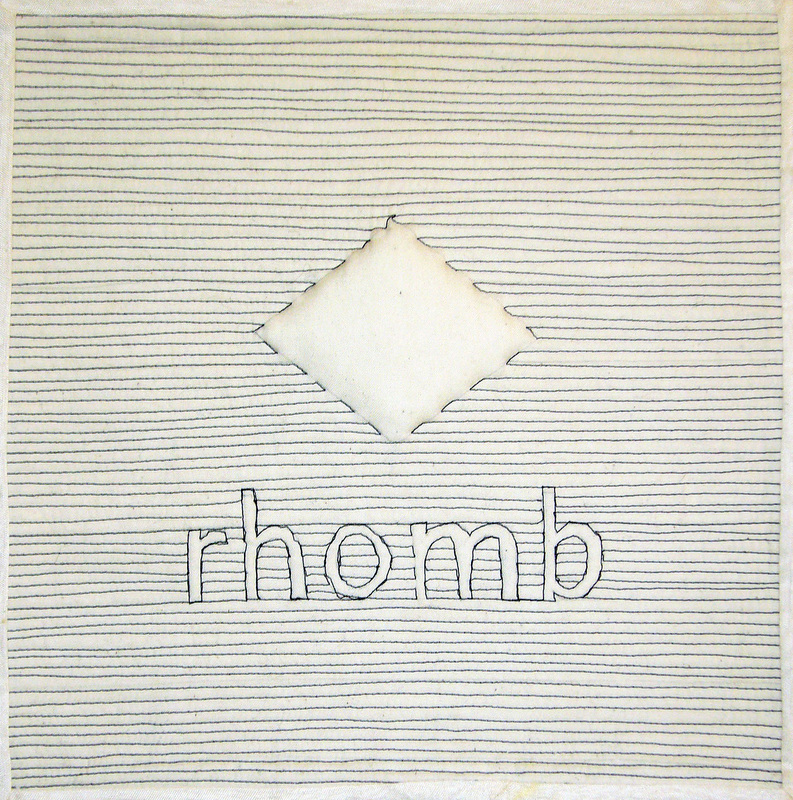 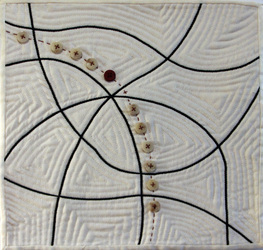 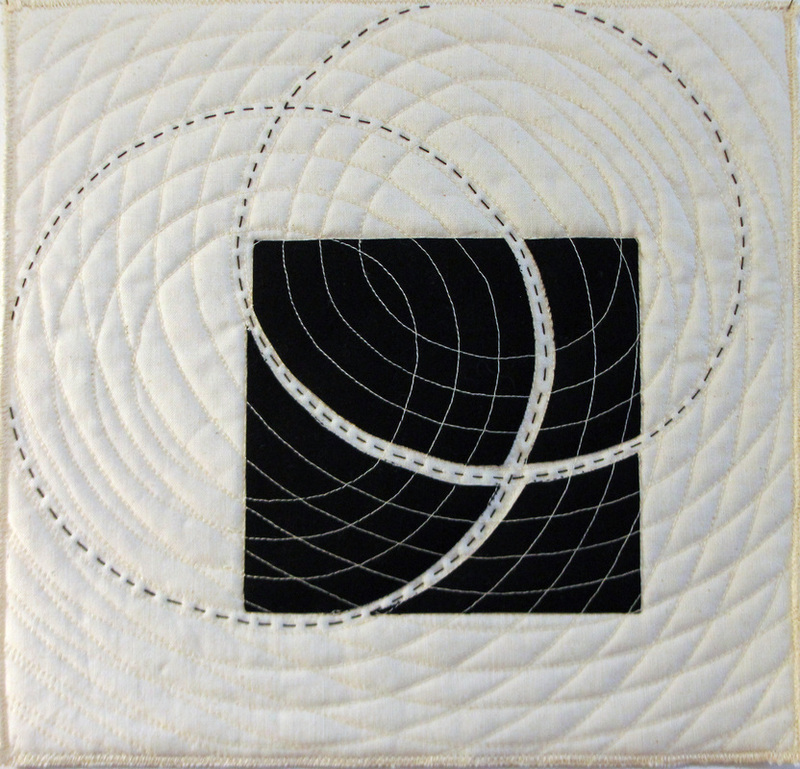 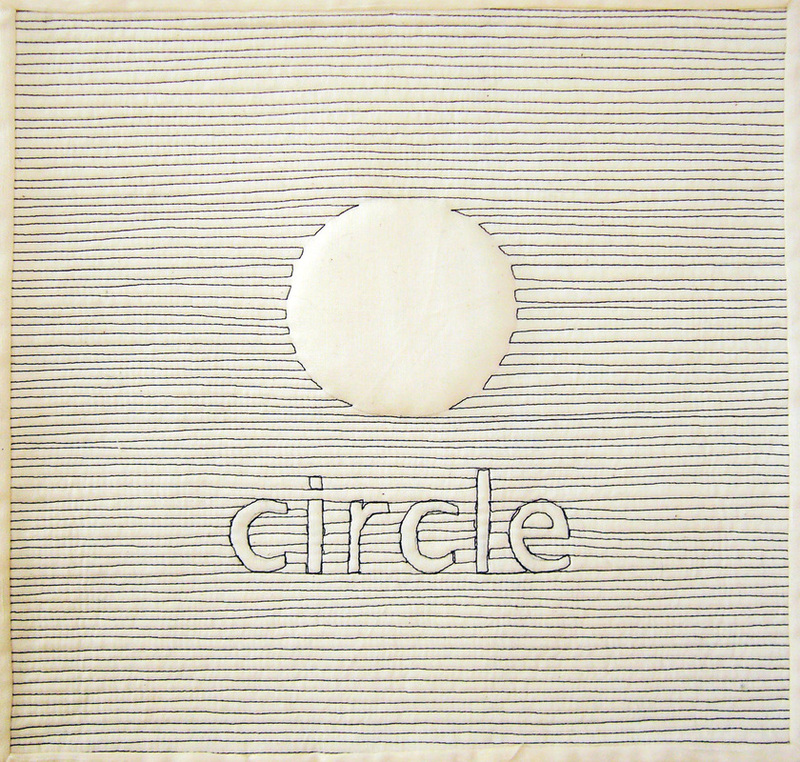 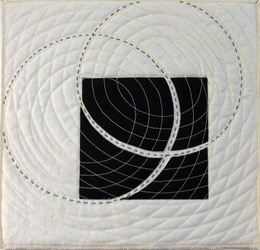 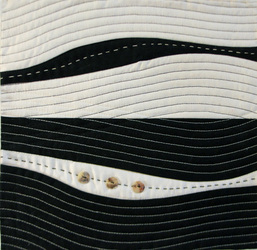 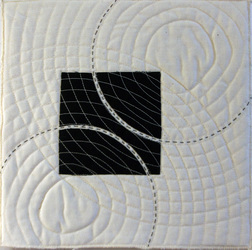 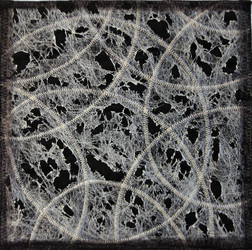 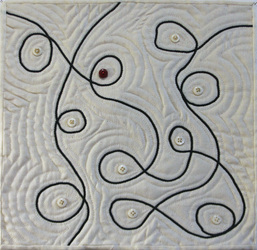 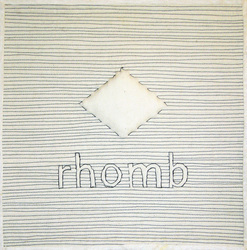 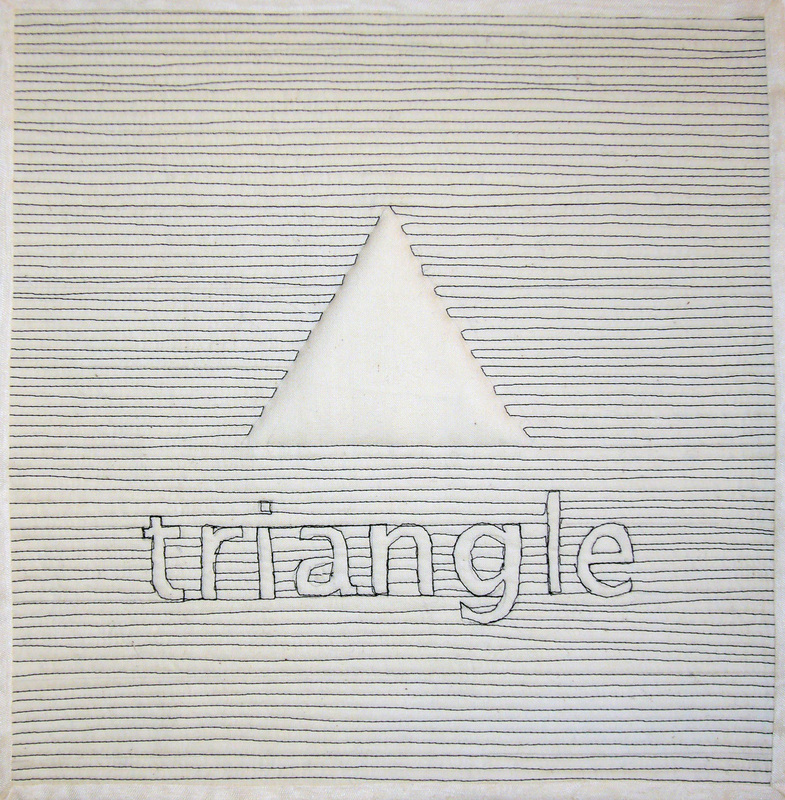 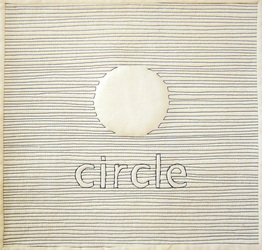 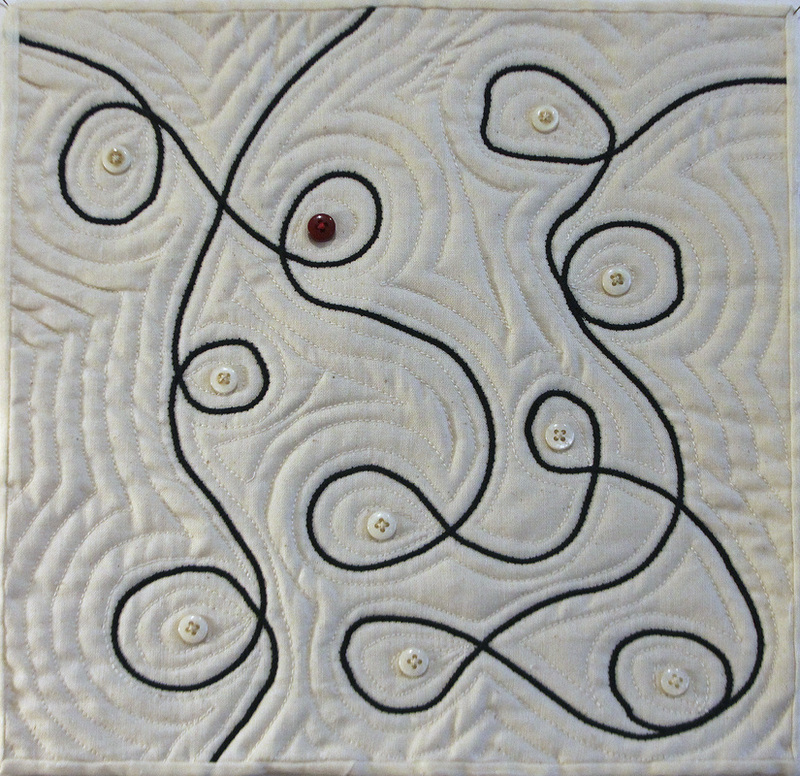 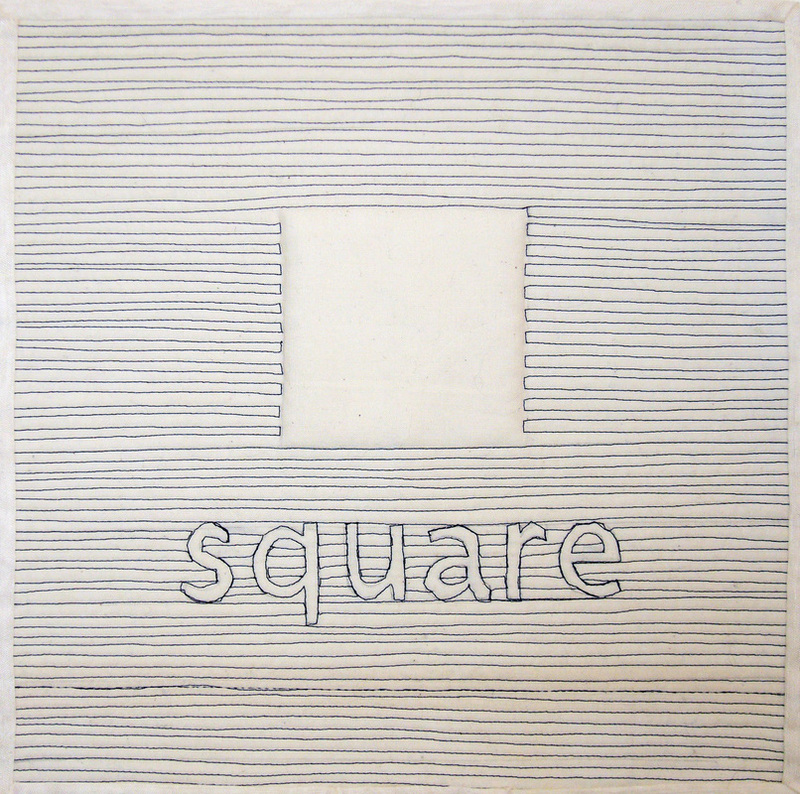 The specification for 2011 was that the quilts had to be 10" square; in addition they had to incorporate a circle for the first four quilts, text in the next four and buttons in the last set. 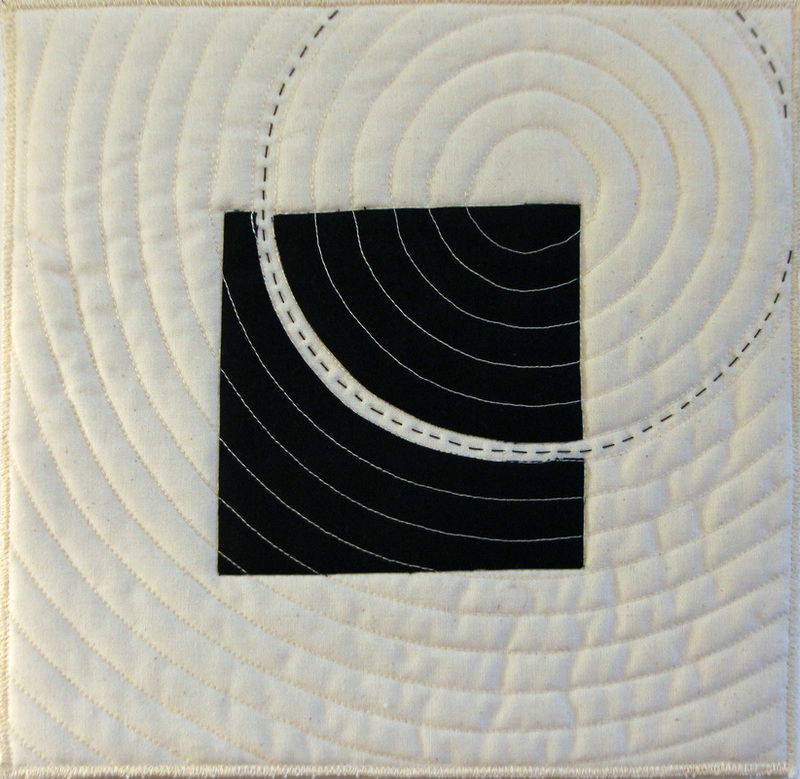 I decided to continue working on the theme of monochrome. 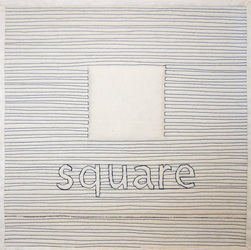 It is, of course, an area one could explore for ever.